For a more than a century, Philadelphia magazine has maintained a strong presence in the Philadelphia regional marketplace. 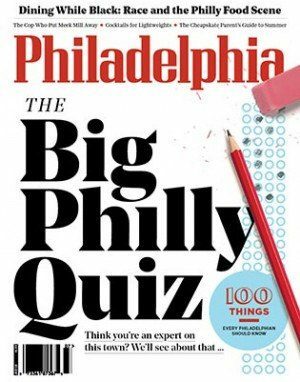 Recognized as America’s longest-running city magazine, Philadelphia magazine is a monthly general-interest publication covering business, politics, personalities and lifestyle issues of relevance to our audience living in the greater Philadelphia area. With award-winning editorial, a highly-trafficked website, widely-attended events, and coverage on topics ranging from fashion to finance, we are the voice that captures the best of contemporary life in the Philadelphia region. We inspire communities, keeping them informed about trends, the best schools and the best places to live as well as offering tips about where to dine, where to stay, and what to buy. It’s the smart media choice for educated, affluent and discerning consumers. Philadelphia magazine is published 12-times annually and touches nearly one-million monthly readers.